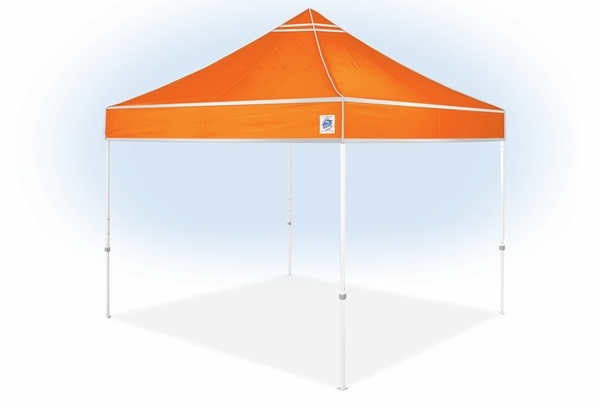 The E-Z Up Hi Viz Instant Canopy Shelter is the Portable Shelter you have been looking for your business needs. The industrial grade Hi Viz Utility Shelter is perfect for regular outdoor use in agricultural and outdoor labor settings. The E-Z Up Hi Viz Utility Shelter is designed to be set up in seconds, making it perfect for repeated use. The E-Z Up Hi Viz Canopy Instant Shelter also includes reflective striping, ensuring safe use and clear visibility when the shelter is assembled. The Pin Pull Slider and Toggle Leg Adjustment system allow for easy lock assembly and release.